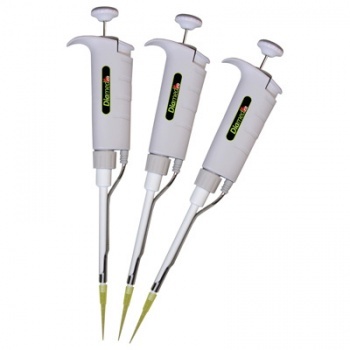 The DiaTEC® Pipette series is the culmination of decades of liquid handling research. Every aspect of accuracy, reliability and user comfort has been carefully reviewed in designing these high precision pipettes. 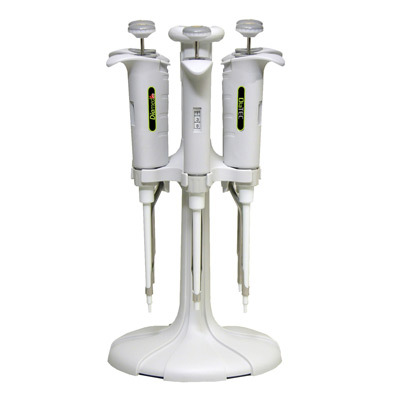 The result is an advanced pipette that exhibits superior accuracy and ergonomics and is comfortable to use, even during prolonged and repetitive pipetting. The finely polished stainless piston and chemically resistant, maintenance-free seals provide unsurpassed accuracy. The air-jacketed handle protects the micrometer mechanism from the inaccuracies that can be caused by thermal expansion. This enhances continued pipetting precision even after prolonged use. Nine models are available for maximum precision at virtually every conceivable volume. However, only four models are needed to cover the standard range from 1 to 5,000 µl. State of the art technologies and materials have been designed into the DiaTEC® Pipette's construction, making it an exceptionally light weight, well balanced instrument. The ergonomically shaped tip ejector button is designed and contoured to minimize pressure on the thumb. Actuation forces and spring pressures have been significantly reduced.